We’re excited to release a brand new scenario from the pen of Bolt Action aficionado Rob Cook – both sides are racing for a supply drop full of ammunition and supplies! Low on supplies, you spot a friendly aircraft in the sky making a supply drop. Trouble is, so has the enemy! Can you secure the cargo before they do? Both players roll a die. The highest scorer picks a long table edge to attack from. The other player takes the opposite edge. Both players must leave half of their units (rounding down) in reserve. Reserves may only enter the table from the start of turn 3 onwards. Outflanking is not allowed. All other units are in the players first wave. No units are set up on the table at the start of the game. No forward deployment of any kind is allowed. Units that can make a pre-game move, such as US Rangers, may do so. Each player is trying to secure the supplies dropped from the plane. British forces contest a supply drop! The battle begins. Both players must bring their first wave units on to the table, giving them either an advance or run order. Note that no order test is required to bring on units that are part of the first wave. At the start of turn 3, before any other action is taken, roll to determine where the supply drop occurs using the steps below. 1. 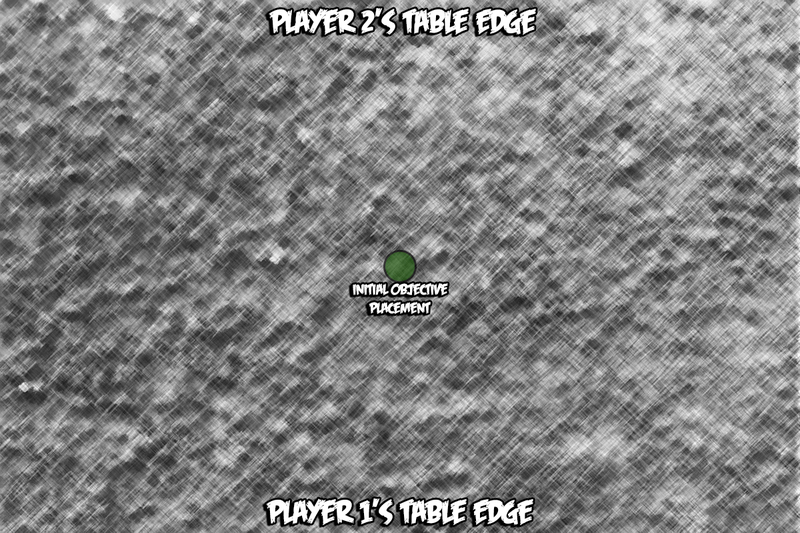 Place an objective marker in the centre of the table. 2. Roll a D3. On a result of 1 move the marker 24″ to the left, on a 2 leave it where it is, on a 3 move the marker 24″ to the right. 3. Roll another D3. On a result of 1 move the marker 6″ forward, on a 2 leave it where is it, on a 3 move the marker 6″ backwards. If the marker ends up on a building, impassable terrain or obstacle, place it as close as possible beside the obstacle instead. If the players can’t agree on where this should be, both should roll a D6. The highest scorer decides where the objective is placed. The game lasts for 7 turns. At the end of the 7th turn, roll a die. On a result of 4+ an 8th turn is played, otherwise, the game ends. If a player has at least one infantry unit within 3″ of the objective, and there are no enemy infantry units within 3″, they have won a victory. If both players have infantry units with 3″ of the objective, or no player does, the game is a draw. If you’re looking for ideas on which forces to bring to this particular scenario, two immediate examples spring to mind – the aerial resupply of the encircled German forces in Stalingrad and the resupply of the US Airborne during the siege of Bastogne. Other examples of combat supply drops include the resupply of Chindit units in Burma or the constant actions between partisans and the Germans across occupied Europe. 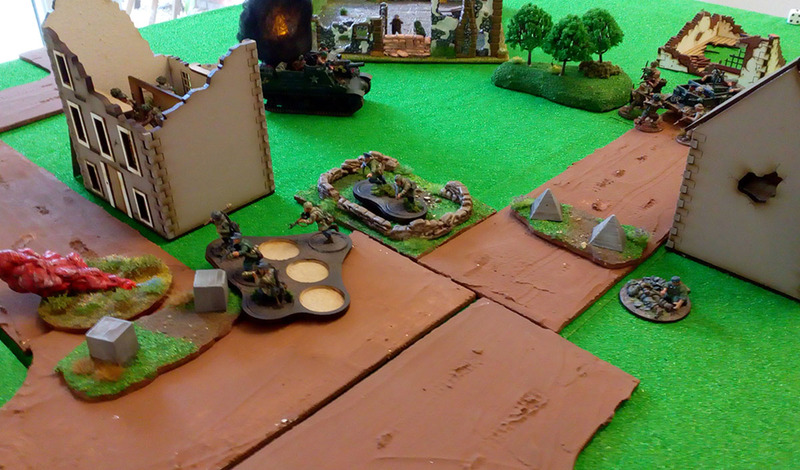 Rob Cook managed to take the scenario out for a spin with his brother over the festive period, and we’ve got a short account of the action! Three heavily armed small squads of Germany’s finest backed up with some Pak40 muscle, stared out across the battlefield at the numerically superior ranks of the British and their lend-lease M7 Priest. With a supply drop imminent, both forces took up positions around the central crossroads and its surrounding buildings. Early shots rung out, pinning units here and there but inflicting no real casualties. It took a successful early British artillery bombardment to break the cagey stalemate, removing one German unit and heavily pinning several others. Fallschirmjagers race for the supply drop! The start of turn three saw the supply drop land over the central crossroads in British held territory. Knowing they needed to push forward if victory was to be gained, the German Pak40 lit up the British Priest, allowing the Fallschirmjager squads to charge across the open road into the heart of the enemy. With the objective in sight for the Germans and the turn count nearing its end, the British encircled the advancing enemy and smothered them in a hail of rifle fire. From the flanks came a Bren carrier along the road, guns blazing, a troop of five veterans hoping down to join the fray. With escape impossible, the Fallschirmjager stubbornly held on in the maelstrom of bullets. It was however all too easy for the well-positioned British to finish them off, securing the much-needed supplies for themselves. Who knows – yours could be next! 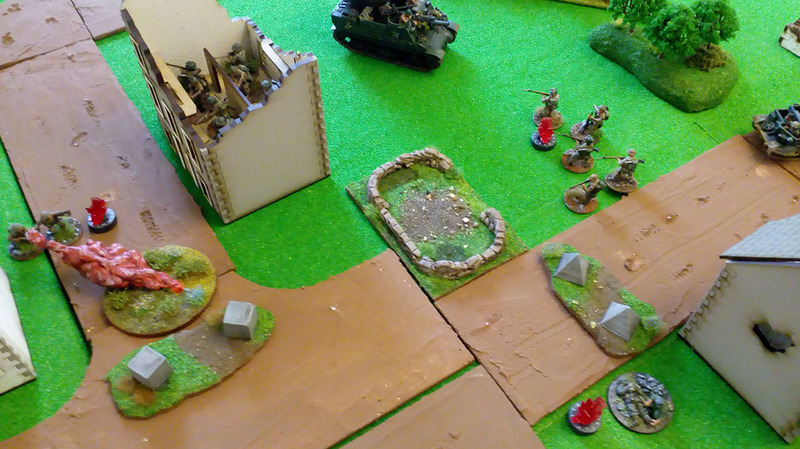 The post Spotlight: Bolt Action Supply Drop Scenario appeared first on Warlord Games.